I can't believe it's already Dec. 1!!! The countdown to Christmas is on. These next few weeks will be filled with Holiday parties and events. And the big question is always...'What do I wear?'!! Some parties require a sparkly skirt or dress (see this past post) and others are a tad more casual. 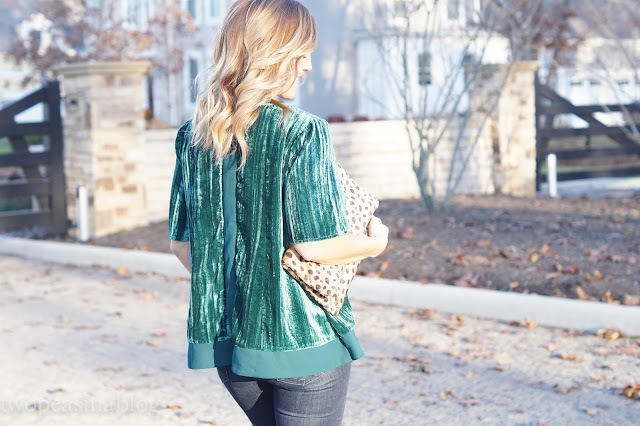 This velvet swing tee is a must for those laid back Holiday get-togethers! It also comes in a gorgeous Christmas red and dark navy. I love it paired with skinny jeans but it would also look adorable with a great pair of black pants or cute skirt! One way to glam up your Holiday look is by adding jewelry. We have found so many beautiful pieces at Happiness Boutique. They provide the best from the current trends at a high quality but a reasonable price (and free shipping). This statement necklace would look great with a simple dress. A glitter cuff bracelet is a perfect 'wear everyday' piece. And we always love a delicate necklace! They believe "happiness is contagious"! What a perfect motto for the season of happiness and joy!! 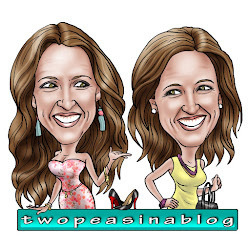 Happiness Boutique is so sweet to offer 10% off for our followers by using code TWOPEASINABLOG at checkout. This offer is good until January 5th!! Thanks so much Elise! Velvet is so pretty! 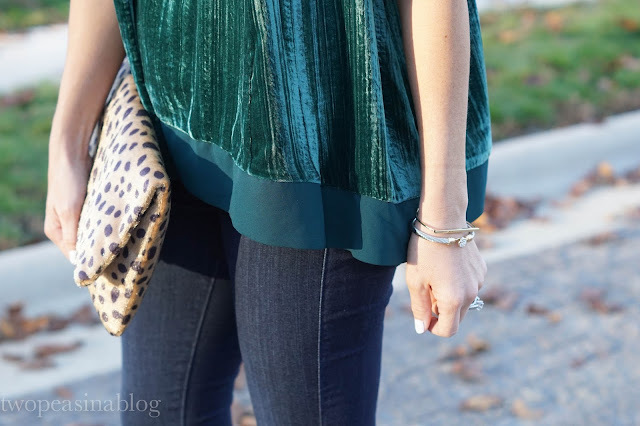 I am obsessed with this velvet top! It's perfect for the holidays. Thanks Kim! I'm loving velvet so much too!!! Velvet is so in this year! I love that it's so luxurious!